Another Cryptocurrency Comes Under Attack by a G20 Government. Cryptocurrencies in all of their forms proliferated and gained a widespread following before governments woke up to how cryptos work and what they do. Now the period of free reign by cryptos is over. Governments have had sufficient time to learn about the crypto market and they don’t like what they see. Governments, central banks and multilateral institutions such as the IMF see a dire threat to their shared monopoly over fiat money creation. They also see cryptocurrencies as an easy path to facilitate illegal purchases, money laundering, tax evasion and terrorist finance. New government actions against the cryptocurrency world are occurring almost daily. Attacks are coming from the SEC, IRS, criminal prosecutors and other regulators in the U.S. and their global counterparts. These attacks are aimed at cryptocurrency exchanges, initial coin offerings, and transactions on the dark web. The most audacious crypto of all is the “petro” issued by Venezuela. The petro is a cryptocurrency supposedly backed by Venezuelan oil reserves. But Venezuela is in a state of collapse and it’s not clear if its promises about the petro can be kept. Also, Venezuela is the target of financial sanctions imposed by the U.S. and enforced by U.S. control of the global dollar payments system. 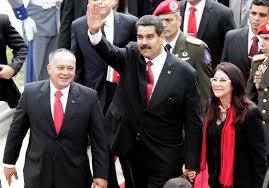 The petro is clearly intended as a way for Venezuela to sell its oil while evading those sanctions. As this article reports, President Donald J. Trump has signed an executive order that makes it a crime for any U.S. citizens to transact in petros. This also applies to any U.S. banks that process purchases or sales of petros using U.S. dollars. Venezuela has screamed “Imperialismo Yanqui!” but that won’t stop Trump. The global attack on shady cryptocurrencies is in full swing. Investors should stick to cryptos with solid use cases that don’t involve illegality and those with highly reputable partners such as IBM, Intel or the big banks. Everything else in crypto land is roadkill.